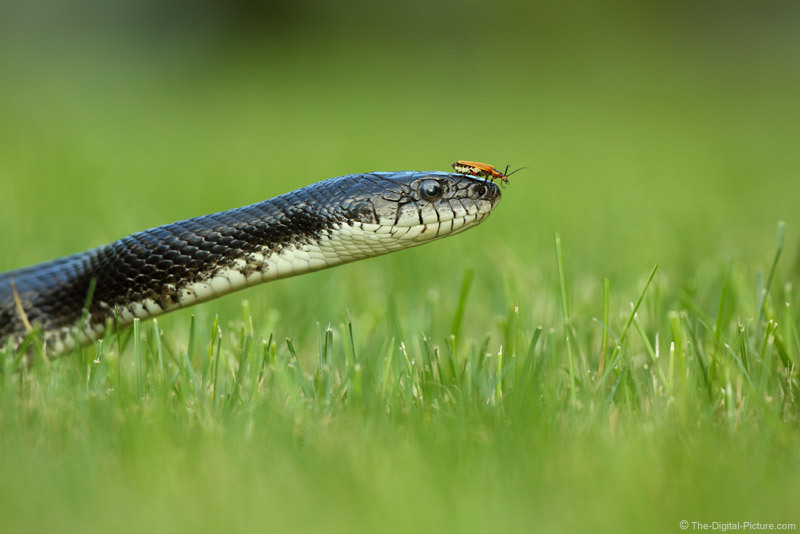 As I was lying in the grass photographing this black rat snake, I noticed an insect walking up the snake's body. So, I got ready to capture whatever happened. The bug reached the end of the road, turned around and left. A very anticlimactic ending I thought.